VINCI Energies Ethical & Human and Social Rights codes. We apply Ethical & Human and Social Rights codes. It goes without saying that all our employees comply with the laws and regulations applicable to them. But we also expect them to be inspired in their behaviour – in all circumstances and in all countries – by our professional ethical principles. We expect them to behave impeccably. Conduct based on integrity, loyalty, respect for the dignity and individual rights of their colleagues and other people they deal with. 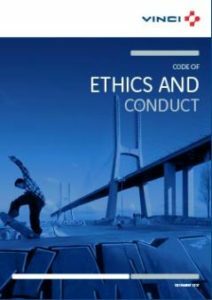 Our professional ethical principles are described in our VINCI Ethical Code of Conduct. Why have we laid them down? Our company is based on strong values. They shape our culture and determine our actions. Values often remain implicit or are expressed verbally only. But it is important to translate them into explicit rules of conduct for internal and external contacts. Corruption is prohibited in all countries of the world. In addition to the Ethical Code of Conduct, which lays down rules of conduct that all our business units and employees in the Netherlands must comply with, VINCI pays extra attention to anti-corruption. Specific attention is paid to identifying corruption risks and implementing preventive measures. These rules of conduct, together with our convictions and commitment, unite us. We expect all our employees to apply this code very carefully. We also expect this from the new employees we welcome every year. That is another reason why it is important that our rules of conduct are laid down in writing. As an international group, VINCI works on its projects and in its companies with numerous employees who we employ directly or through subcontractors. Although the institutional context and working framework of countries may differ considerably, we feel it is our duty to respect everywhere the rights of those employees and of the local communities that may be affected by our projects and activities. 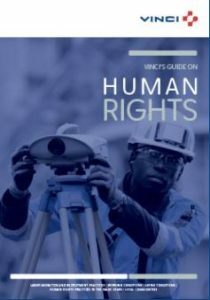 In 2003, VINCI signed the United Nations World Convention, undertaking to support and promote the observance of human rights in its sphere of influence. The VINCI companies operate in an increasingly large number of countries. That is why we have defined precise and shared commitments in the area of human rights in the form of guidelines. This is in line with the Manifesto, which covers all areas for which we as a company are responsible. In the guide we have compiled the biggest risks of violations in labour migration and recruitment, terms of employment, housing, human rights practices in the value chain and local communities. Each business unit in the Netherlands takes measures in its own business operations to arrange these matters properly for its employees.